The following files are snapshot of the kdenox KDE module taken from the HEAD. Konqueror Embedded may be used to browse pages over HTTP or on your local filesystem. They need a Qt library version 3.1 or above to work correctly, and are based on the KDE_3_1_BRANCH of the kde libraries. 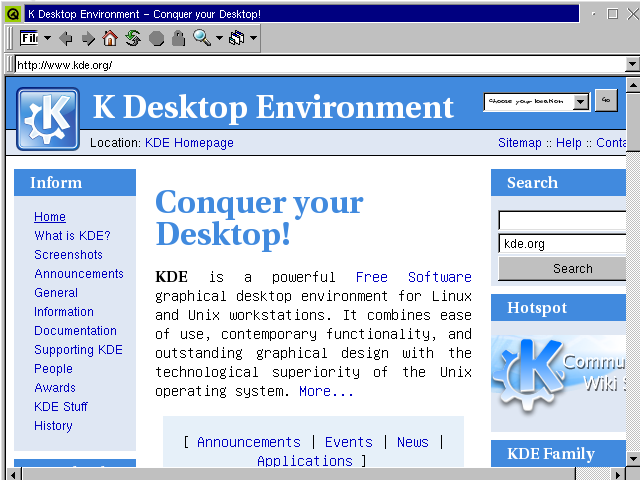 The snapshots made in 2005 are based on the KDE_3_4_BRANCH of the kde libraries. 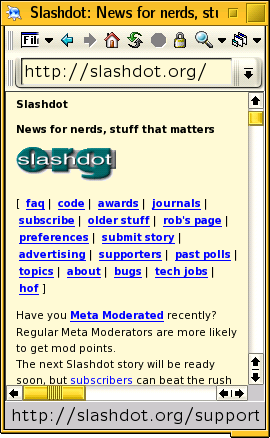 The snapshots made in 2006 are based on the KDE_3_5_BRANCH of the kde libraries. Questa pagina è stata generata con Vim.